Complimentary chocolate quinoa cake if you book catering for your holiday party! Order catering before October 15 to receive complimentary chocolate quinoa cake! Whether it’s a gathering with coworkers or a celebration with family, you can always count on Nuba to make your event a success. What's more, if you spend more than $300 on a catered event between the dates of November 15 and January 15, and all your guests will receive complimentary chocolate quinoa. It's gluten-free and delicious. This offer expires on October 15 so contact us today to find out more. Let Nuba cater to you! * Our catering services can accommodate small office lunches, celebrations at home, buffet dinners for 200, and everything in between. * Food your guests know and love served however you like it: lunch boxes, dips and party platters, canapés, or buffet-style service. * Nuba creates food with commitment to quality ingredients. We seek out the freshest ingredients—organic and local when available—and handpick them daily. 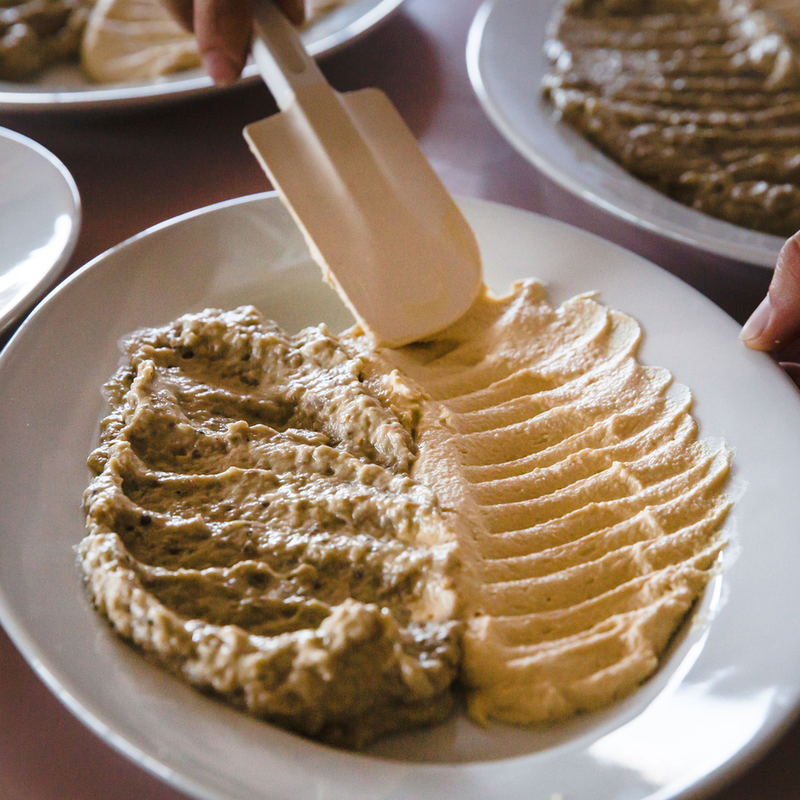 * Nuba’s healthy and fresh food philosophy is a solid crowd pleaser at functions with a wide demographic. Regardless of age, taste, lifestyle, or dietary considerations, guests will always find something delicious to eat from Nuba. 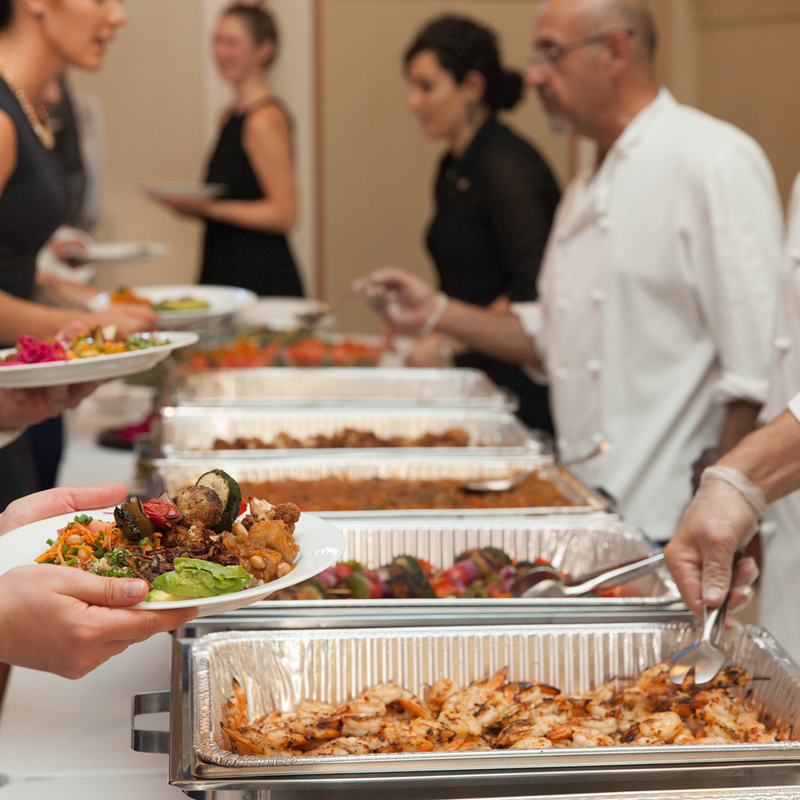 * Our experienced, dedicated catering team always ensures that your event is a success. To claim this offer, fill out the order form below or contact our catering manager at catering@nuba.ca. Choose one of the following menus for your event. Buffet prices are per person unless noted. Additional skewers available. Served with hummus, salad, pickled cabbage, olives, pita, and organic brown rice. All served with pita, tahini, tzatziki, and hot sauce. Add a side of avocado for $1. We have a newly updated canapé and finger food menu. Email our catering manager to learn more. A chef’s selection of 60-65 pieces of hot canapés. There are a variety of vegetarian, vegan, and meat options. 60-65 pieces of baklava, chocolate quinoa cake squares, and coconut rice pudding samplers. Two bite-size pastries. Contains nuts. Gluten Free. Minimum 4 orders. 48 hours notice required. Minimum 8 orders. 48 hours notice required. Original, Mint-flavoured or Black Iced Tea all served in mason jars. (minimum 3 orders). San Pellegrino lemon and orange. Thank you for your interest in Nuba catering! We will will be in touch with you shortly to finalize your order.